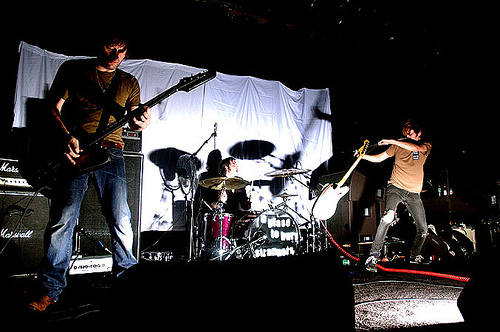 After The Jump alums, Brooklyn’s A Place To Bury Strangers have just inked a deal with UK based Mute Records and according to their new label, the band is busy in the studio working on an as-yet untitled sophomore album. In the meantime, if you want to get your fill of APTBS, you can check them out tonight (March 5) at the Kimmel Center at NYU with Ra Ra Riot, Marnie Stern and Apache Beat. More APTBS shows after the jump.